CrossCore, Inc. will hold its next ISSA certified Rotational Bodyweight Training™ Courses at Tri-D Fitness in Portland, Oregon on Saturday May 5, 2012 and Saturday June 2, 2012, from 10:00 AM to 4:00 PM PDT. The courses will be led by Tri-D Fitness’ team of CrossCore® Certified Instructors. Tri -D Fitness is thrilled to be the first to offer Rotational Bodyweight Training™ with the CrossCore180® in the Northwest. CrossCore’s RBT™ Courses feature the company’s innovative patented pulley workout system and teaches users about the benefits of CrossCore® Rotational Bodyweight Training™ or "CrossCore® RBT™. This new exercise program allows users to incorporate natural and rotational movement while performing bodyweight exercises. Rotation is a necessary component of truly effective suspended bodyweight training and of tri-planar movement. It is what makes it possible to mimic moves involved in a sport, occupation or everyday life for maximum results. Rotation is crucial in properly strengthening the core and preventing injuries in other parts of the body. 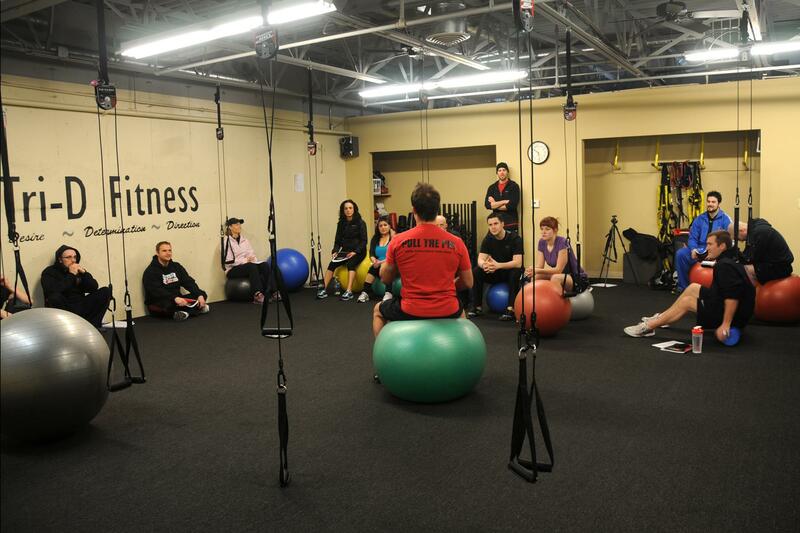 Tri-D Fitness in Portland is a leader in Health and Fitness with an expert staff for all fitness levels. Their system follows that the total body working in harmony with the proper exercises and nutrition can change one’s entire life and wellbeing. Tri-D’s staff is highly educated and capable of designing a complete health plan no matter what stage of fitness one is in. Tri-D is an award winning fitness facility co-owned and operated for 12 years by Scott and Brad Berscheid. “Tri -D Fitness is thrilled to be the first to offer Rotational Bodyweight Training™ with the CrossCore180® in the Northwest. We believe that once trainers understand this equipment and the benefits of rotational movement for themselves and their clients it will change everything,” said Scott Berscheid. “CrossCore RBT™ takes clients of all fitness levels through bodyweight exercises. Our ability to offer rotational movement helps users challenge themselves, their core, their whole body. Our locking and unlocking pulley systems and the hundreds of exercises involved separate us from suspended training and non-moving straps. Tri-D Fitness is our newest partner to bring this great message to the Northwest,” said Jay Wilson, Vice President, Global Marketing, CrossCore, Inc.
“Tri-D has upgraded our equipment to CrossCore180® in our one-on-one and semi-private classes. Client response has been very positive. We love to see the ‘aha!’ moment on clients’ faces the first time we pull the pin from the pulley unit and clients feel the additional challenge required to stabilize against it. We are looking forward to a long, collaborative relationship with CrossCore,” says Brad Berscheid. 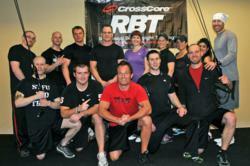 CrossCore® will be hosting more RBT™ Courses at clubs and gyms throughout the U.S in 2012. For more information on how to become involved with CrossCore® RBT™ visit http://www.crosscore-usa.com. including modular training racks and attachment straps for kettlebells, gymnastic rings, and sandbags to deliver peak conditioning opportunities. CrossCore® allows all levels and ages of users- fitness enthusiasts, sports performance athletes, military personnel, mixed martial artists and more- to safely challenge themselves and to actively grow their fitness goals. CrossCore’s rotate to engage products are distributed in the U.S. and Internationally. CrossCore, Inc. pioneers of Rotational Bodyweight Training™ equipment and education courses.CrossCore’s patented rotational pulley system has quickly earned the respect of elite athletes, clubs and gyms, military installations, and collegiate fitness regimens globally. CrossCore, Inc. 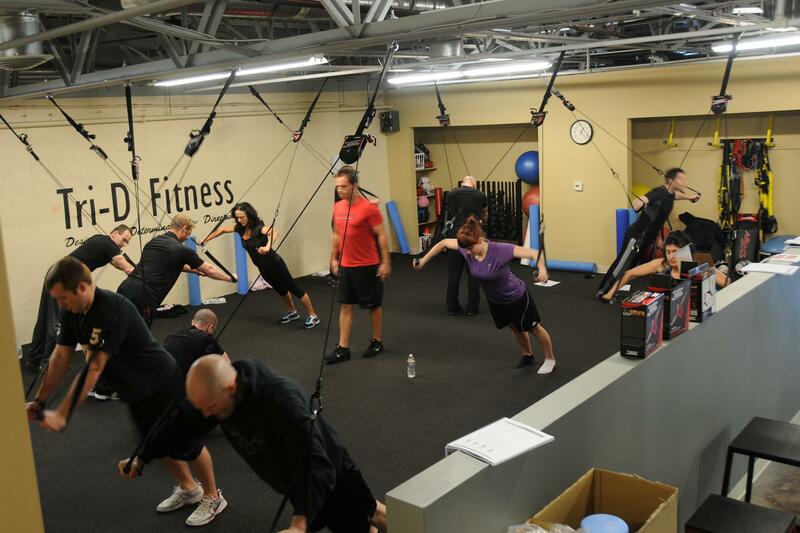 Announces ISSA Certified Rotational Bodyweight Training at Tri-D Fitness - Portland, OregonTri-D Fitness in Portland is a leader in Health and Fitness with an expert staff for all fitness levels. CrossCore® Rotational Bodyweight Training™ now at Tri-D Fitness in Portland, OR and coming to a location near you.CrossCore RBT™ takes clients of all fitness levels through bodyweight exercises. Our ability to offer rotational movement helps users challenge themselves, their core, their whole body.